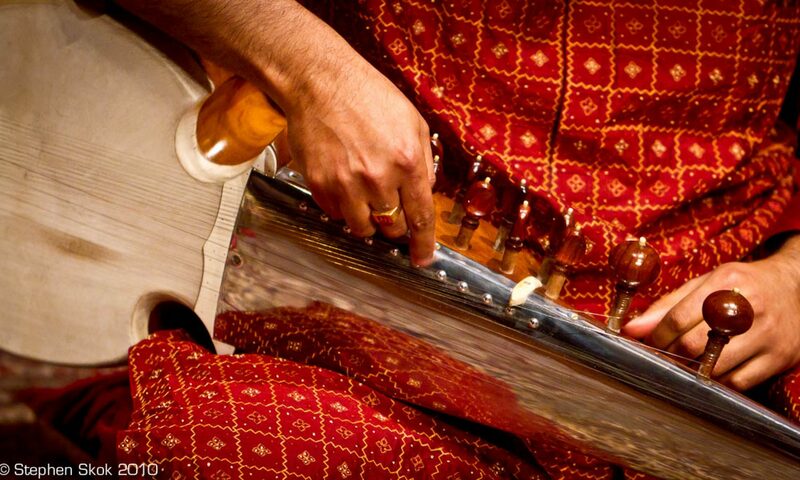 In my random ramblings on Classical music, here’s something that all musicians know but rarely acknowledge – a performance is in many cases, significantly rehearsed, even in North Indian classical music. Let’s take the construct called Tihai – that’s a sequence which, repeated thrice, ends in the Sam. Tihais need preparation. In fact, other than simple tihais, ALL tihais need preparation. If a musician tells you that they spontaneously think of complex tihais, they are part of the 1%. For mere mortals like us, we need to rehearse. The key skill is to factor in the tihai within the music, so it doesn’t sound manufactured and blends in well with the rest of the taan. When amateurs do it, a tell tale sign is that of the musician waiting, marking time, for the start of the beat where they can launch into their prepared tihai. Tihais are often generic, so a tihai for a taal can be applied to all compositions in that taal, irrespective of the raag. Tabla repertoire (and Kathak bols) are fertile ground for “pinching” tihais to incorporate into instrumental performances. No wonder, some of our compulsive tihai players (whose every taan ends in a tihai) are formidable tabla players. Some WERE actually tabla players. Tihais are not used that often in vocal music- whose presentation doesn’t try to “dazzle” the audience like instrumental music. On that note, let’s look at a “medium” level 3 x 3 tihai – taken from Kathak. It is a set of three phrases, at different speeds. Click on the picture to see a large version with the bols and taals notated. As you can see, the last three beats are spaced out. Yellow shows rest beats. I’ll upload a sound file with this tihai on it. (He explains the background of the tihai – the sprightly deer being hunted by the lion).